Hopefully, you’re well aware of what marketing analytics is and how it can contribute to the success of your marketing efforts. Either way, read on! Marketing analytics comprises the tools and practices for measuring, managing, and analyzing the performance of your marketing efforts. Using them effectively will help maximize the impact of your marketing efforts and optimize return on investment (ROI). Failure to leverage analytics for your business’ marketing efforts, from overall strategy to implementation, only becomes a more significant mistake as time goes by. In this case, what you don’t know can hurt you, and the likely outcome is that you start to fall behind the savvier, data-focused competition. With anything in life, how can you determine your performance if you don’t measure it? However, all the marketing data in the world won’t do you much good if you don’t know how to do anything with it. If you aren’t capable of handling your marketing analytics program in-house, seeking some form of data analytics consulting is an excellent idea. Using experts to help implement or sustain big data analytics solutions can have fast, noticeable impacts. Using a balanced approach that allows for reporting on past performance, analyzing present state, and predicting or driving future state will offer the most benefit. Find ways to integrate and share data, as something seemingly unrelated or insignificant can yield tremendous insights for another group or department. Your analytics efforts won’t get far without clean and complete data. 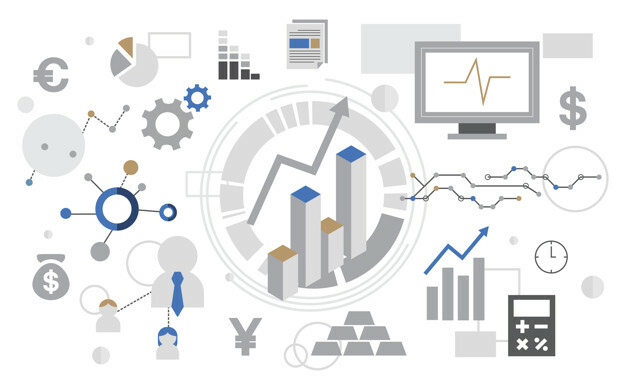 Further, while information from the past through the present is critical for identifying trends and patterns and for offering context, current, real-time data analytics allow decisions based on the actual current market. First, data can only be gathered and analyzed if you have the proper means to do so. Beyond that, visualization is incredibly important as it allows you to communicate that data more clearly to a broader audience. So, whether you are brand new to the concept of marketing analytics or already have a program in place, hopefully, you’ve learned something new here. Maybe you were able to develop an entire foundation for implementing an analytics program, or you were able to identify a couple of small gaps in your existing program. Either way, keep in mind that some sort of data analytics consulting could still be tremendously valuable to your marketing efforts. Consulting services, like what we offer at Syntelli Solutions, can provide tools, services, and big data analytics solutions that help you more accurately measure, track, and quantify every single marketing strategy. You’ll be able to spot the trends driving (or hindering) your performance, communicate results more quickly and easily, react more rapidly to changes in your markets, and make better-informed decisions going forward. Maithili moved from Baltimore to Charlotte upon obtaining an MS in Marketing from Johns Hopkins University to join Syntelli in 2017. With her passion for business and technology, she seamlessly took over Syntelli’s marketing initiatives for digital, social, brand management, advertising, content, and public relations. 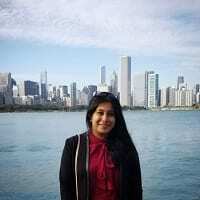 Maithili brings over 4 years of marketing experience, having worked with start-ups and multi-nationals in the retail and professional services industries to plan and assist with their digital marketing strategies. During the course of her career, she has also undertaken pro-bono consulting projects in marketing strategy for local non-profits. Maithili also holds a Bachelor’s and Master’s degree in Management from the University of Mumbai. When she isn’t channeling her inner creativity, you can find her enjoying her love for music or pursuing her passion for traveling.